Roger Ebert seems to have resented star ratings, which he had to dish out atop each and every one of his hundreds upon hundreds of regular newspaper movie reviews. He also emphasized, every once in a while, his disdain for the "thumbs up" and "thumbs down" system that became his and Gene Siskel's television trademark. And he could hardly ever abide that run-of-the-mill critic's standby, the top-ten list. Filmgoers who never paid attention to Ebert's career will likely, at this point, insist that the man never really liked anything, but those of us who read him for years, even decades, know the true depth and scope of his love for movies, a passion he even expressed, regularly, in list form. He did so for, as he put it, "the one single list of interest to me. Every 10 years, the ancient and venerable British film magazine, Sight & Sound, polls the world's directors, movie critics, and assorted producers, cinematheque operators and festival directors, etc., to determine the Greatest Films of All Time." Deciding that he must vote for "one new film" he hadn't included on his 2002 list, Ebert narrowed it down to two candidates: The Tree of Life and Charlie Kaufman's Synecdoche, New York. "Like the Herzog, the Kubrick and the Coppola, they are films of almost foolhardy ambition. Like many of the films on my list, they were directed by the artist who wrote them. Like several of them, they attempt no less than to tell the story of an entire life. [ ... ] I could have chosen either film — I chose The Tree of Life because it’s more affirmative and hopeful. I realise that isn’t a defensible reason for choosing one film over the other, but it is my reason, and making this list is essentially impossible, anyway." That didn't stop his cinephilia from prevailing — not that much ever could. Are these films in any order? 2001 and Citizen Kane are boring, too. And yet he has included an über corny and decidedly clumsy movie like Tree of Life in his top ten. Seriously makes me doubt everything that man has ever said about the art of film. “Raging Bull”….boring?! ….Boring??!! … Wow!! ….To each his own I guess. Then just a few lines down “Citizen Kane” also described as boring?! … Strange how 2 people that have such a blatant disregard for what are widely considered 2 of the best films of all time!! !…Just strange how these 2 people even found there way to comment on this thread linked to one of the most famous film critics of all time … some one who absolutely adored film and even for a film that Roger Ebert loathed he at least had enough respect for films he hated to bestow upon them a liteny of adjectives to which they would be laid to shame in that they could at least be proud that they died a good death. But to just merely call a film “boring”……is the biggest injustice you can give a film. Even a film you dislike has to call rise to something inside you … that you would at least be man enough to look it in its eyes as you gut it from spleen to spine!! !….A lone pithy word … “boring” …. expounding no further…is to stab it in the back while it exposes all its vulnerabilities to the world. A film you dislike deserves all the same passion you bestow on the films you love otherwise just get up and leave the theater after the trailers have concluded because you have nothing deeper to offer medium. The movie stands on its own, leaving one question? I once listened to movie critics discuss the Academy Awards. They had all kinds of ideas as to why this movie was voted best, over another. The conversation got heated, then one person chimed in…”…Hey,…the reason this or that got the award,…it was VOTED in !”….Which is the truth. Movies are released, at given dates so they can be viewed and people can vote for the movie, in time for the Awards, that year. Full page ads are taken out in newspapers, like Variety and papers in certain demographic regions to bring the movies to the attention of viewers…and voters. Members of the Academy ( the only ones who can vote for a movie, by the way) get calls, and now I guess emails, and other prods to vote for this one or that. So, don’t get bent out of shape, if YOUR favorite movie is not rated highly. The entire award process is SUBJECTIVE and highly motivated by MONEY. It is interesting that many movies debut and are not highly regarded…but over time, critics study them and come to the conclusion that there is something great there. Strange how a single word like “boring” can be so triggering, can be viewed as “blatant disregard”. Just strange how people teach you which film is great by keeping mentioning that other people think which film is great. Really? Do you show all the same passion to whatever you watch? Do you have something deep to offer other than some angry mumbo-jumbo? 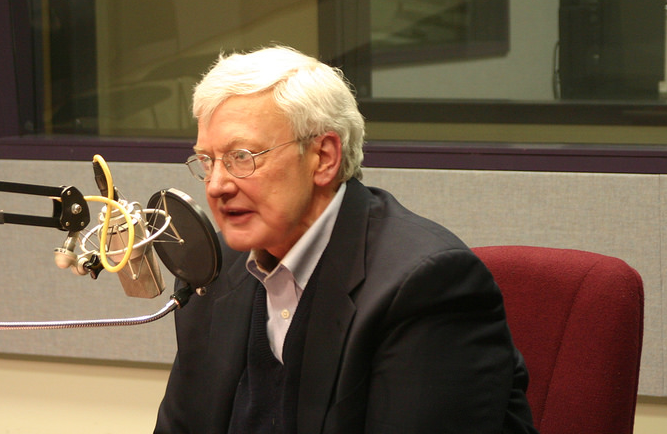 Unlike a number of comments, Roger Ebert would elaborate his opinion to more than a few words. If people find these films boring then that’s unfortunate for them really. I understand why people might think Citizen Kane is boring as the pace is often slow but it may be worth watching it acknowledging that it was made almost 80 years ago and that a lot of films released and enjoyed since were inspired by it and imitated it. I’m obviously here looking for a list as well but I like Ebert’s comment about top 10s. What defines a top film anyway? Is it possible that the no.1 on Monday is the same as on Tuesday? I don’t really see any enjoyment at all in finding your no.1 film. It seems a childlike behaviour, looping the same film again and again. i am omniscient after all. in no order. some might really be a slow as 100 best. How about Fargo,High Sierra and The African Queen. Really, what’s boring about them no car chase? It is quite strange to see this list from Roger Ebert, because he was notorious for consistently refusing to answer questions about his “10 favorite” anything. Michael, I hope you’ll watch more movies. *Snow White and the Seven Dwarfs* is the only thing you’ve listed made before 1956! Five of your films were made in 2005 or after. I hope you’ll reconsider *Letters from Iwo Jima*. It’s marred by sentimentality and self-serving historical distortion. I lived in Japan for four years, and the Ministry of Education squelches any attempt to put evidence of Japanese war crimes—or even of Japanese aggression against Manchuria, Korea, etc.—from the curriculum. The film amounted to a bow-wrapped gift, and the manipulation through sentimentality made it even more nauseating. Nevertheless, this is the kind of manipulation that Japanese often don’t see because so much of Japanese pop culture is sentimental. The screenplay was a Japanese product. Clint Eastwood’s performances and movies aren’t known for depth or subtlety of emotion or even thought. If you haven’t seen *Unforgiven* yet, you should. Artistic evaluation is always subjective. I thought everyone knew that. However, what’s rare is being able to explain and/or defend why one likes one movie and hates another. Sometimes the answers seem pretty obvious, but other times a movie goes through strange critical metamorphoses, usually from the bottom up (the audience) than the top down (the critics). Filmmakers can be temperamentally from either camp or both. In the case of the *Cahiers du cinema* crowd, they were critics who became filmmakers, so I guess that’s why Truffaut’s championing of Hitchcock as an auteur had such a profound impact. There is no such thing as a list of “the best movies of all time.” And Roger Ebert pointed this out continually throughout his writing career. He always said this was a list of HIS favorite movies. And he was quick to say that these were the movies that affected him the most on an EMOTIONAL LEVEL. You think Citizen Kane is boring? Good for you! That’s totally fine because it’s your reaction and that’s perfectly valid. I found “Armageddon” starring Bruce Willis outrageously boring, but again, it’s just one man’s opinion. But again that’s just one man’s opinion. These are the movies that I personally love to watch the most. There’s no such thing as a Ten Best Films of All Time!